Last day to triple your donation – please donate now! Chickens line up to feed a the University of Illinois Urbana-Champaign poultry farm. 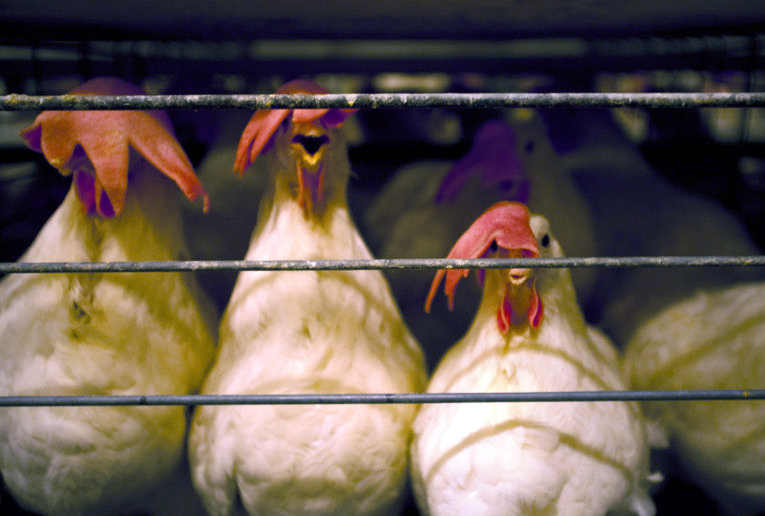 The farm houses approximately 7,000 chickens used for egg production and ovary cancer research. Today is the last day to triple your donation to the Midwest Center for Investigative Reporting. As part of a 30-day #newsmatch challenge from the Knight Foundation, every dollar you donate through today will be matched. And thanks to the generosity of the Ethics and Excellence in Journalism Foundation, your dollar is matched again.